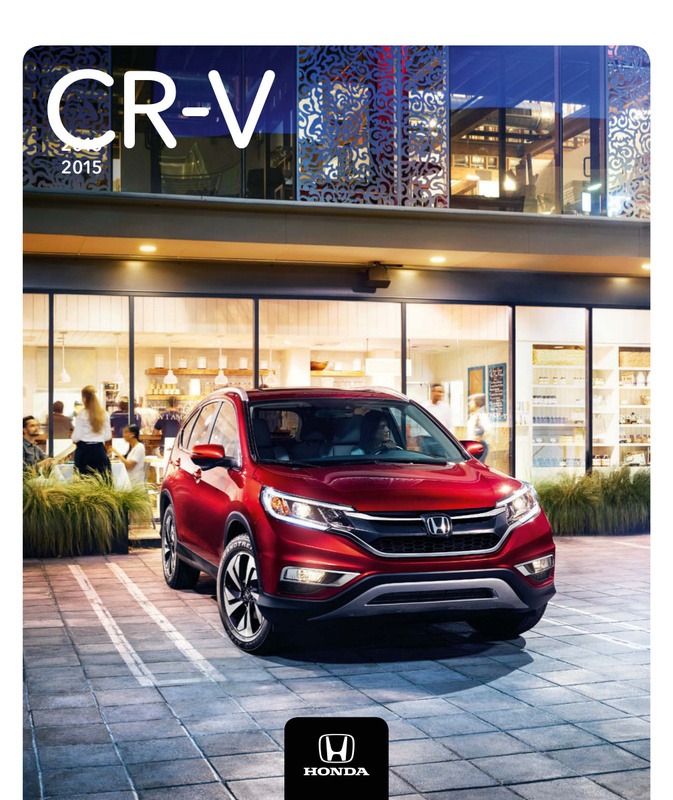 Sales brochure for the 2015 Honda CR-V with a 185hp 2.4L 4-cylinder. Exterior paint colors are listed as Modern Steel metallic, Mountain Air metallic, Kona Coffee metallic, White Diamond pearl, Copper Sunset pearl, Alabaster Silver metallic, Basque Red pearl II, Crystal Black pearl, Obsidian Blue pearl, and Urban Titanium metallic. Brochures are presented for research use only. Company marks, emblems, and designs are trademarks and/or service marks of Honda. Please respect the time and $$$ it took to acquire these brochures and post them for you to view, you may copy but do not republish.